There are very few occasions when a quote by Winston Churchill can’t perfectly sum up the situation. Mr. Robbins feels that after nearly a week of sales meetings with the major book distributors, the economic situation is even worse than he originally anticipated. Because of this, Gibbs Smith will be postponing 90 percent of the decorating and architecture books that they were originally going to be published this season and next. He hopes the postponed books will be published within a year. 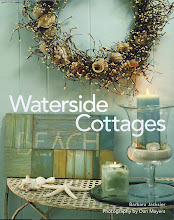 Gibbs Smith owns the rights to Waterside Cottages for five years. If they do not publish it by 2011, the manuscript is mine again, the photo rights revert to Dan, and we are free to take the book to another publisher. With that in mind, I will leave much unsaid. However, Dan and I want to let everyone know how much we appreciate your support. So, I am not 100 percent sure what my next “big project” will be. Future posts may wander far and wide as I explore new inspirations and start new projects. Since my heart is always happiest at the shore, you can bet there will be more Waterside Decorating ideas, too. Thanks for supporting me, not only with my book, but by reading, and commenting on, my blog. I hope you’ll stick around. Oh Barbara I know that I only share a small amount of the disappointment you must feel nevertheless I feel it. I took an evening and just went through your blog and I really kept coming back to see some of the beautiful pictures you have taken. You are a true artist. I know that when one door closes another one opens so I am going to pray you have a big FL Lanai size sliding glass door of opportunity open for you. Frustration? Anger? That will pass. best is to concentrate on new project. I loved your pick Churchill quotations. Oh yes, because that is the answer...to not publish 90 percent of really good books...yep, that is the answer to these crappy times we are facing...why would people want to spend money on books?...HELLO....does anyone truly listen to themselves anymore? All this crap they are shoveling us has now gone down to the books we read.Hang in there Barbara..and decorating book and magazine readers UNITE!!!!! disappointment we all feel-and even more so yours and Dan's-at Gibbs Smith's decision. But, knowing your resilience and skills no doubt you will only go on to an even bigger and better project. You do know that we all await your next project with great anticipation and excitement and that we love you. Barbara, I cannot even imagine how disappointed you are, after all your hard work and that of Dan, also. I will continue to visit your blog. I hope you keep it going. My best wishes for your next adventure! I am so sorry to hear of your book delay...but good things will come and I am sure it will be published soon. How disappointing! I admire your positive attitude and will definitely keep coming by to read what you're doing. 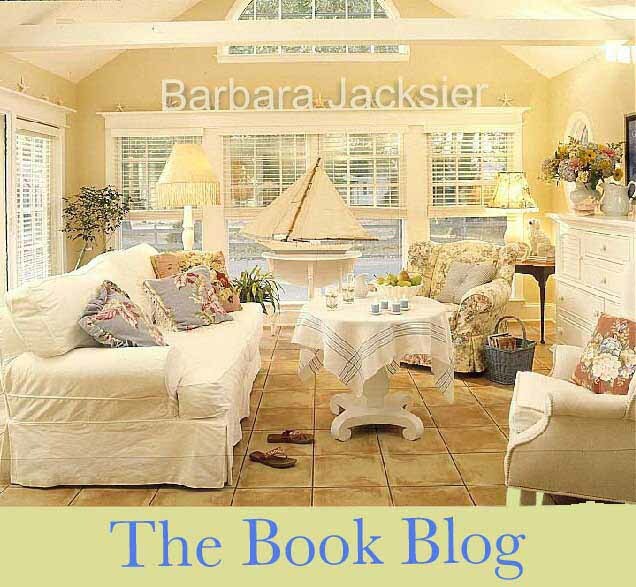 Barbara, I can only guess how you must feel at the news of postponing your book! How wise of you to look beyond this disappointment and to remind us all that dwelling in sadness in not taking anyone anywhere. But I do feel for you! I'm looking forward to your future posts and projects. Take care! Hello, thanks so much for checking on us. We now have electricity, internet and cable all in one day. We are happy! I am a firm believer that things happen for a reason, and that reason always turns out bigger and better then you ever could have hoped of..Your best hasn't happened yet, but just begun! I'm excited about what you next venture will be; your very OWN magazine perhaps? Barbara, I am also very disappointed! But, I know that it will be published and will be worth the wait. Now - look at the big wide wonderful world of opportunities in front of you! I can't wait to hear what your next adventure will be. Oh heck Barbara! We will all stick to you like glue! 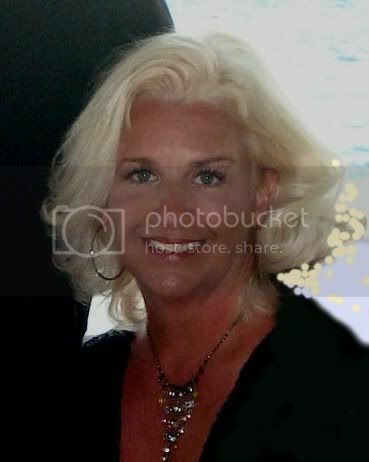 I think I could speak for all whp visit you, we LOVE you and your blog. We share your frustration and yes, even your anger. You have every right to BE angry. I have to wonder if these *suits* ever speak to real people? When economic times take a down turn, people look within and stay at home much more. I for one am always looking for ways to make our little house prettier and more comfortable. I always use my decortaing books as a mini 8getaway8 and was really looking forward to yous. 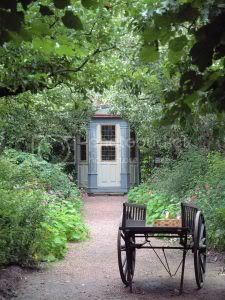 I was already imagining reading it, with a cuppa hot tea, on a blustery Winter day...dreaming about a cottage on the shore. I can not even imagine how truly disappointed you and Dan must me but we all share in that as well...all of us know how talented you are and consider it a joy, a huge treat, to be able to visit with you here. So sad to hear about the unfortunate news, perhaps things will be the ideal conditions for the release of your book in the future and you can have this goal realized. 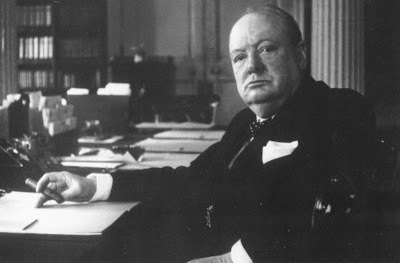 I did enjoy reading your insights coupled by Winston Churchill's words. Inspite of the discouraging news, it was still and inspiring post to read. Good work! 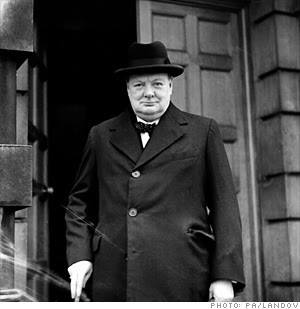 I imagine that you have visited Churchills home when you have been in England? I agree with Jo-Anne. Having said that, I am so sorry. I know you must be terribly disappointed, and Dan too. I feel for you friend. I know you will come up with something wonderful, and I'm eagerly awaiting it. It will be fabulous, of that I'm sure. However... I know that your talent and words of encouragement is neverending and I know that there is a bigger and better project waiting in the wings for you to tackle..
All in good time Barbara. Just 'be' for now. Everything else will fall into place. I share in your disappointment. A big hug for you and Dan. I'm sorry to hear your news. There are so many of us that want to purchase the book for ourselves and gifts for our family and friends. Continuous effort - not strength or intelligence - is the key to unlocking our potential. (And we all are looking to your next piece filled with much potential!). You never disappoint. Hello Barb, I'm so sorry that this has happened. I do hope your book will be published soon. I am so disappointed to hear your news on the book. I am sure you have something equally as wonderful in your future and I look forward to your blog journey of discovering what that is. Wishing you much success on your new path! Dear Barbara, I am so sorry to hear the news. You have such a positive spirit, I know that you won't let this bring you down. Onward and upward..to the next project that is. We'll all be here waiting and supporting you. Barbara, I loved the way you intertwined Churchill's quotes within your story. Sorry it didn't have the ending that you wanted. Who knows where this will take you? I'm sure it will be good! Loved the Churchill quotes and your attitude! It's a hard thing, but indeed you are a "Woman of Substance" as I mentioned earlier with a "spunky blog" and many talents. No doubt your pluck will carry you forward in a positive way, of that I am convinced. I'll be awaiting your next announcement of something great that appeared in your life path and will be checking your blog off and on. Hi Barbara, Keep looking forward like you do. You are an inspiration even in disappointment. I know you will only go on to bigger and better projects with your talents and artistry. Still for us your book will remain something to look forward to in the future. Your blog is always a wonderful place to visit and truly a favorite. Thank you for what you give to the community. You've given us all great insight into the inner-workings of an industry that maybe few of us felt would also be so closely affected by this latest economic downturn. Oh they just simply can't take even our beauty away from us! Someone has to keep turning out the beautiful "escapes" (books), as many will undoubtedly want to turn to their pages when they can no longer afford the actual trip to the waterside...visiting there by way of the printed page (which will now not be printed afterall...). Well Barbara, perhaps our Winston would have just said "No matter, my dear girl -- its off the shore for a cuppa tea anyway. Now off you go." I'm so sorry to hear that. I wish you the best in whatever endeavors you pursue in the meantime! After ready your post I did some research on my family history. Like you I find the past so intriguing. Hi Barbara, I am so very sorry to hear about the postponement of your book release. I have the second volume of my Design Directory series in the pipeline right now with GS scheduled for release in Fall of 09' It's currently being scanned and edited and I haven't heard anything about it being postponed yet (knock on wood) but I also haven't had my new proposal for a third book green lighted either. It is a bitter price we have to pay for our countries over indulgences! I will send out good thoughts and wishes that they resume their regular printing schedule soon. In the meantime stay strong and look for other avenues to showcase your considerable talents. I know how disappointed you must be. Writing a book is like giving birth to a child and to never see it come to fruition is a terrible shame. I admire your positive attitude and I know that good things will come from this painful situation.